I was hiking back after a long day of shooting. It was pouring rain and I was soaking wet. I saw this beautiful scene and the way that the greens just glowed. I knew it would make a great picture but I just couldn't stop and take off my pack to get my tripod so I took it handheld. It still came out nicely but because of this choice I can only make smaller prints of it. 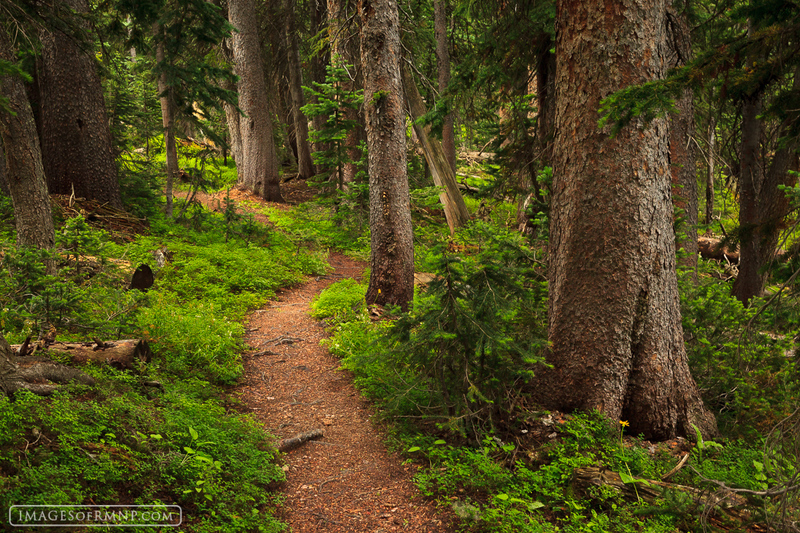 This was taken just below Lion Lakes on the trail through the woods which leads to the main Thunder Lake trail. Photo © copyright by Erik Stensland.